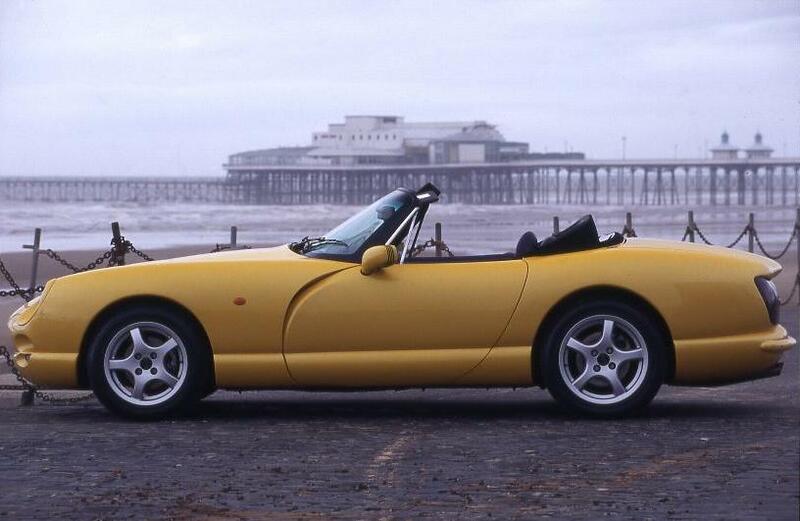 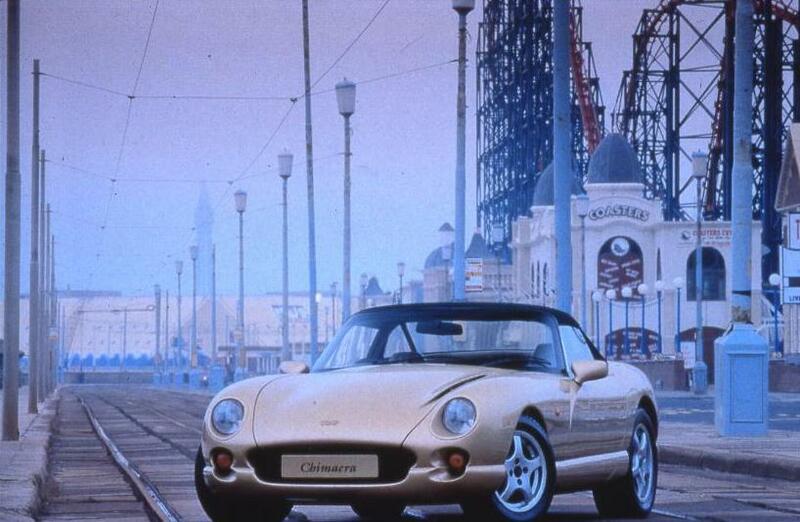 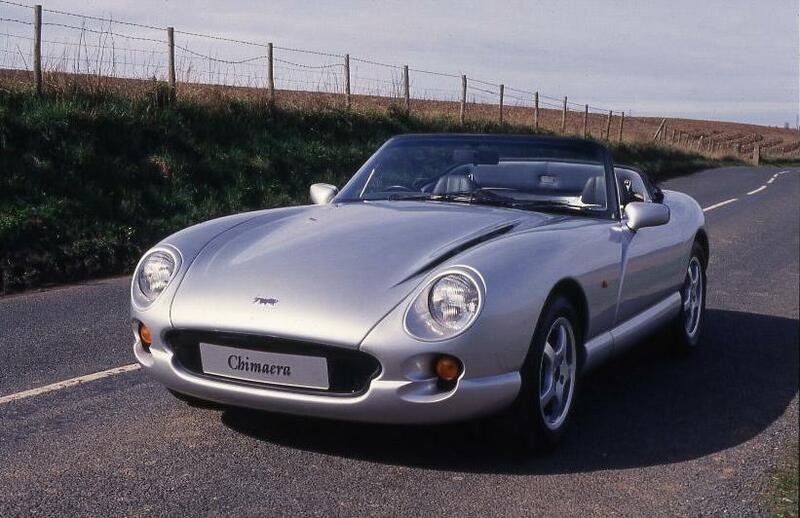 Additional Info: Introduced in 1992 and built between 1993 and 2003, the Chimaera is based on the chassis from the Griffith and uses a TVR built Rover V8 and Quaife differential. 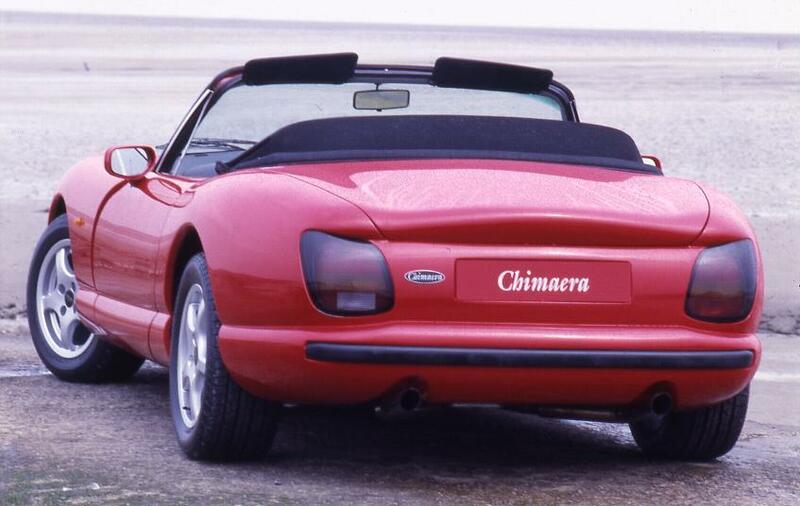 The name Chimaera is that of a mythological Greek monster. 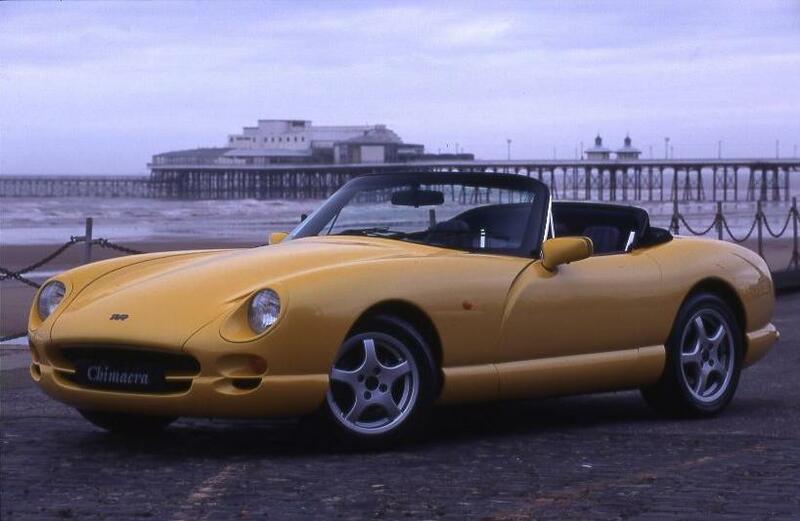 Also available is a 4.0 litre with 240bhp and a 0-60 time of 4.8 secs, a 4.0 litre HC with 275bhp with a 4.7 sec 0-60 time, a 4.3 litre with 280bhp and a 0-60 time of 4.6 secs, a 450 (4.5 litre) with 285 bhp also with a 4.6 sec 0-60 time and a 500 (5.0 litre) as above but with a decat putting out 340bhp/350lbft and a 0-60 time of 4.1 secs. 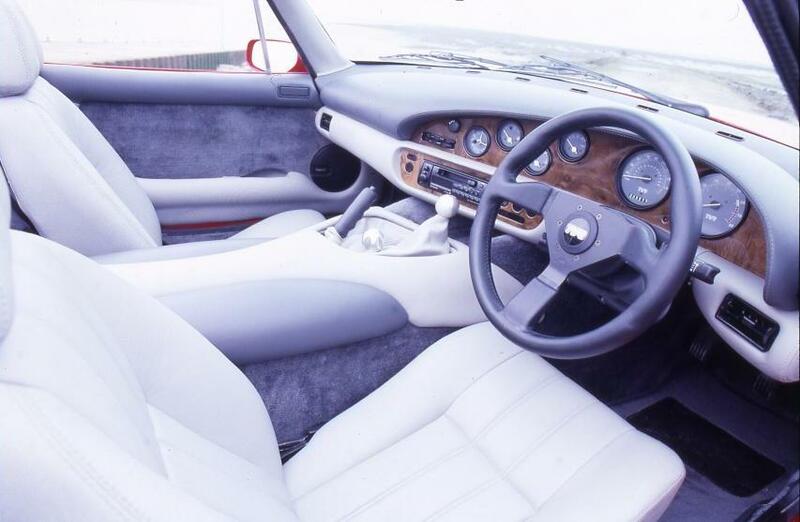 In 1994 the Rover SD1 gearbox was replaced with a Borg-Warner T5 gearbox. 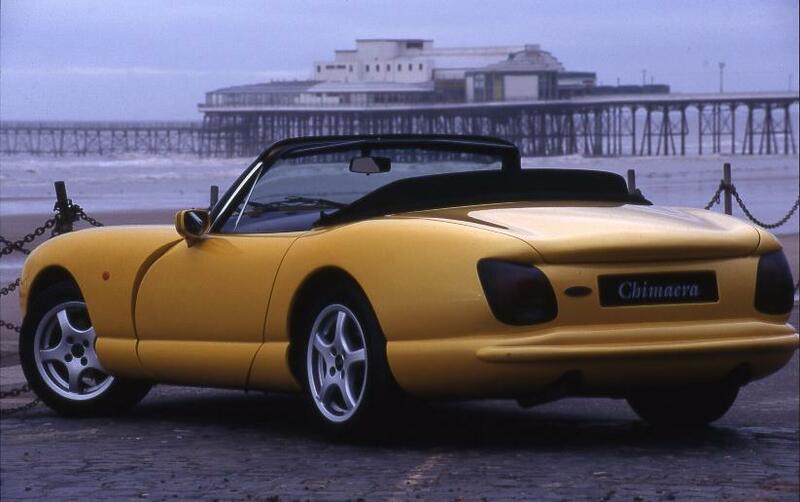 A facelift for the Chimaera took place in 1996 with a slightly different front end amongst other minor changes, followed by a 2001 change to the lights. 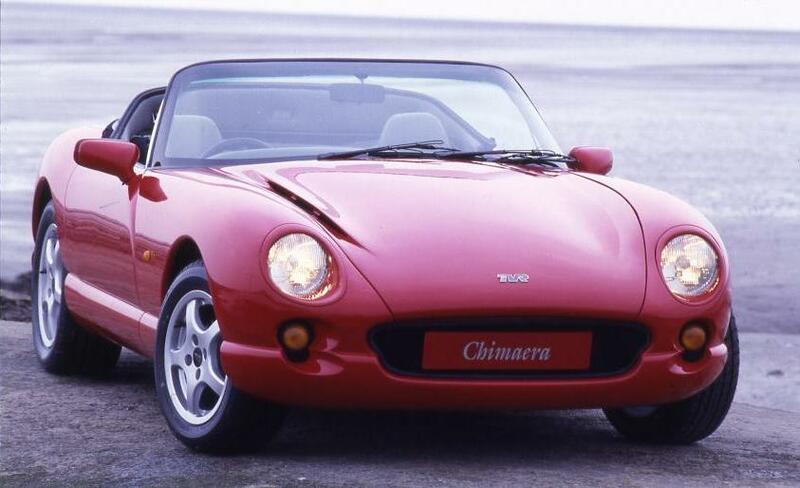 There were approximately 6000 Chimaera’s built.